I've had a real itch lately to try a new foundation. In the past i've been a big fan of Too Faced's Born This Way (V& CF) but the price tag, and how quickly I found myself getting through a bottle, led me to return back to an all time old favourite, e.l.f's Flawless Finish (V & CF). Lately though my skin has been suffering and i've found it to be much more oily than usual which hasn't worked well with the e.l.f foundation. At times I have even felt that this foundation has made breakouts on my forehead worse which is a shame because the £7.50 price tag definitely does agree with me. I recently asked my followers what new vegan and cruelty free foundation I should try and the response was overwhelmingly unanimous. 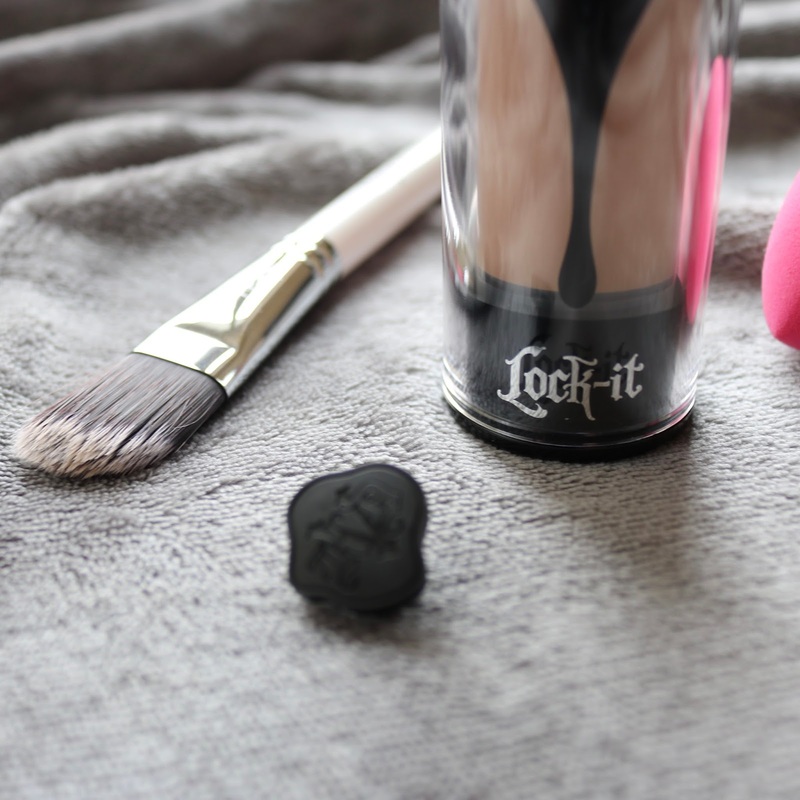 So many of you all use and love Kat Von D's Lock It and with comments coming back to me like "I'll never change foundation ever again", curiosity finally got the better of me! I quickly placed my order and it arrived the next day. My first impressions of this foundation have been excellent. In fact they've been mind bogglingly outstanding! The first time I used it I was so impressed by the coverage and overall finish. I actually don't think i've ever used a foundation before with such great coverage which doesn't feel like I'm wearing a heavy mask. I am so happy that this foundation covers my problem areas and feels light on my skin. Over the past week i've really noticed how much more confident I feel in my skin which is such a great feeling. I have combination skin, suffering with an overly oily t-zone more recently and drier skin around my cheeks. My forehead has been frequently breaking out in spots which has really got me down and before using Lock It I just felt like this problem was getting worse. Since trying out this new foundation i've already seen an improvement on my forehead and instead of feeling more oily it now feels drier and much less greasy. I love the fact that this foundation eliminates my oily forehead and is long lasting throughout the entire day. 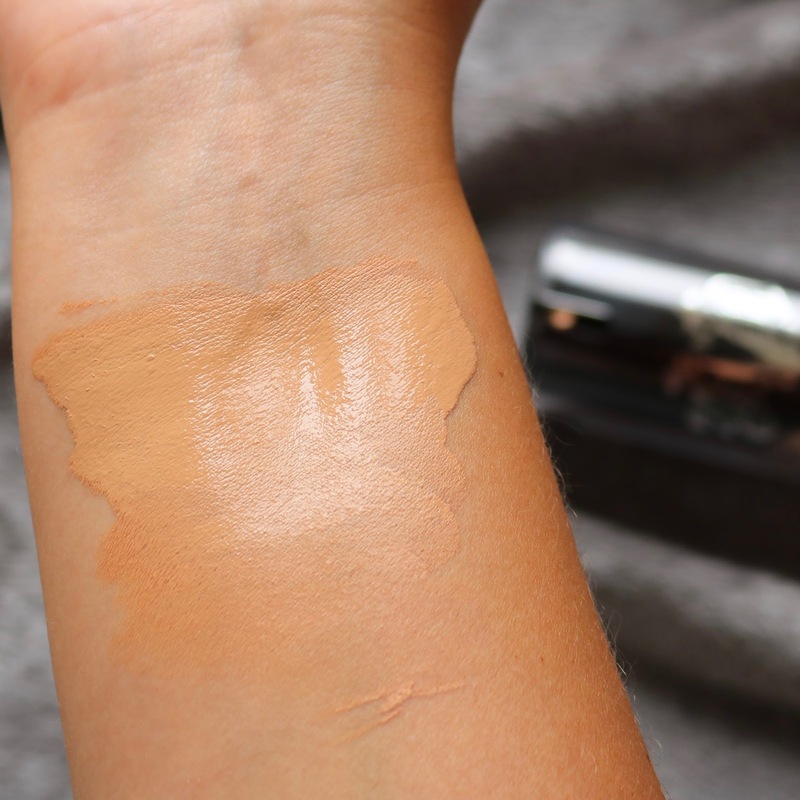 After reading some reviews from others I did have some initial concerns that this foundation would cling to and highlight my dry areas but thankfully that wasn't the case. I do make sure I moisturise my skin well before applying and I would advise that if you do have very dry skin to perhaps also invest in the Kat Von D Lock It Primer which I hear works amazingly well. I wasn't really keen on returning to spending nearly £30 on foundation but when the product is this good I am happy to pay for it. 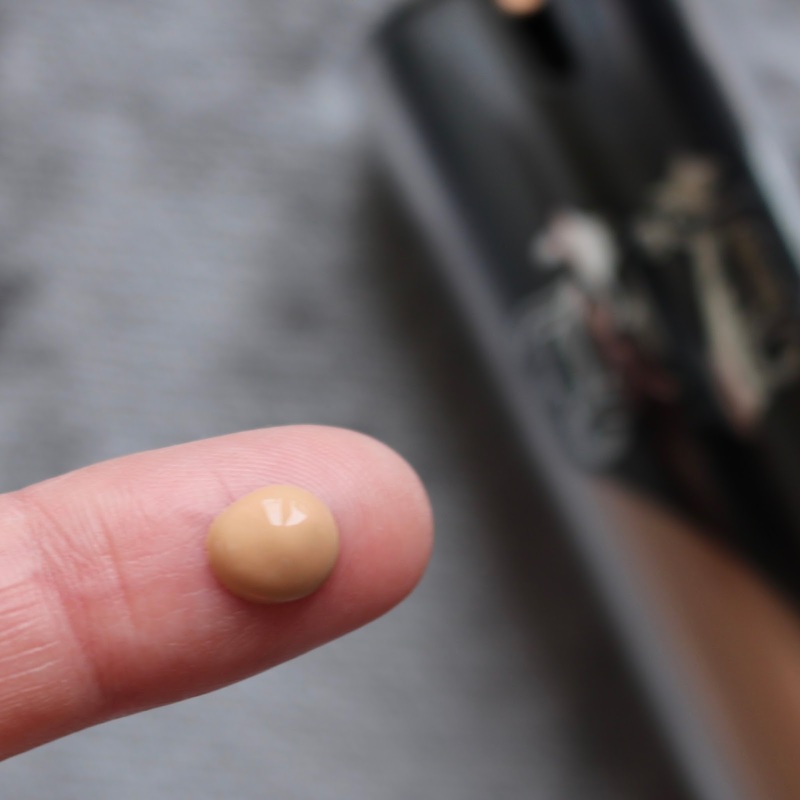 Foundation is the most important item in my makeup bag and I do believe that it's worth splashing out on one that really suits you and your skin if you happen to find a perfect match. I just hope that it lasts longer than the Too Faced one did for me! I've also been on the look out for a liquid eyeliner and another Kat Von D product I have had since last Christmas is her infamous Tattoo Liner. Over the past seven months I have been alternating between this and e.l.f's Waterproof Eye Liner Pen and initially I wasn't overly convinced that it was worth its £16 price tag, especially considering that the e.l.f version is only £3 and, in my opinion, worked just as well. What I have noticed though, since trying this product out for a longer period of time, is that it holds its liquidity much better than the e.l.f one which I have found dries out more quickly. It's also more moist which means that its application is more fluid than the e.l.f one. Because it's more moist i've found the black colour to be more intense and striking, particularly when applying over the top of eye shadow. All of this has meant that i've found myself reaching for this liquid liner much more than my old cheaper favourite. 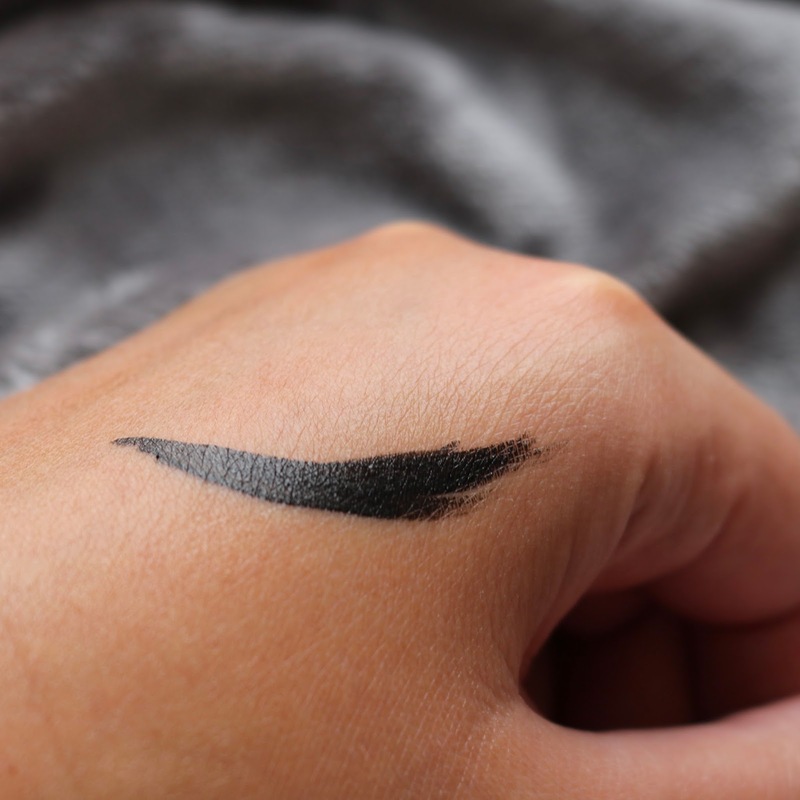 I think the fact that the Tattoo Liner has lasted me a good seven months means that I definitely wouldn't think twice about spending £16 on it again. 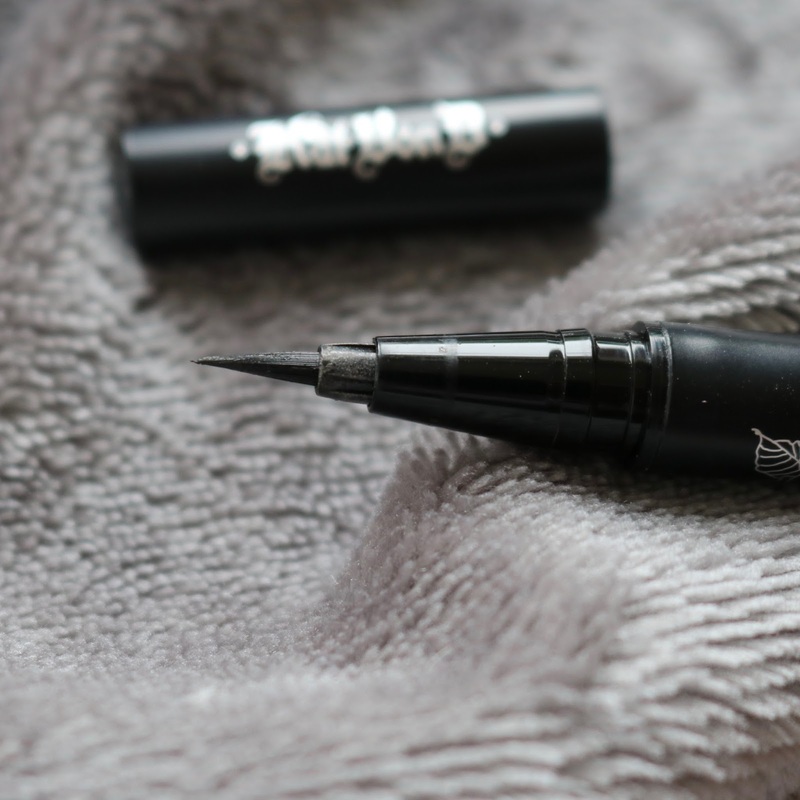 These are the only two products I have tried from the Kat Von D range at Debenhams but my experience of them is leaving me eager to try out more from this collection. I'd love to try the accompanying Lock It Concealer and i've also had my eye on the Shade and Light palette, not that I need another eye shadow palette in my collection but the shades are gorgeous! 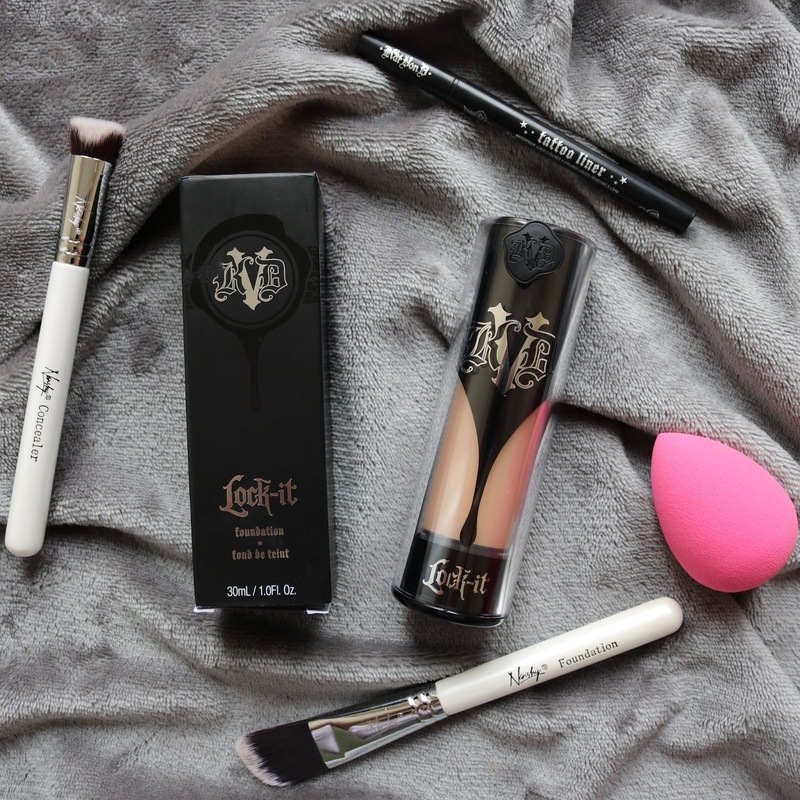 Have you tried any Kat Von D makeup yet!? I'd love to hear some of your own opinions on this range so comment below and let me know your recommendations! I haven't tried any Kat Von D make up (I don't wear make up often enough to splurge) but I'm excited that you found a foundation you love and I'll certainly pass on your recommendation to vegans looking for make up rec's. I love this foundation too, everything about it is amazing! I really want to try both of these products. I have heard so many bad things about the foundation on dry skin though. I have the concealer and it definitely highlights any drier areas, so I'm unsure on the foundation.